Why hello May you cheeky devil, didn't you just sneak up on us out of nowhere. It's May..MAY!! We are almost halfway through 2013 and I feel like it only was January the other week. This is life now though, I get it, I totally get it. It is fast moving and there is nothing any of us can do to slow it down, we just have to make sure we're savouring every moment and enjoying the ride. Speaking of life enjoyment however, the past few weeks have been of splendor and wonder and I want to share just some of what's making me head to toe happy (+ grateful) at the moment. You, yes you, you beautiful, wonderful extraordinary soul - were born with a purpose on this earth that is ready to be fulfilled. No matter where you're from, what you've been through or where you're currently at in life..YOU MATTER. So much. As long as your heart is beating, you have purpose. Your story is remarkable and your life is so sacred. 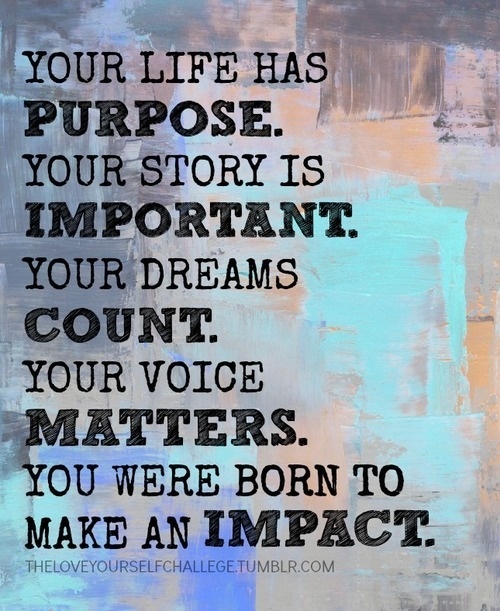 You were born to make an impact. Your life DOES have purpose - so live it. Your story is SO important - so share it and be proud. Your dreams count - so make them big and believe you can achieve them because you can. Your voice matters - so never be silenced. You were born to make an impact - so start living the life you were destined too. So not only does Lorna Jane have some of the most hottest and amazing work out clothes on the planet (I don't know what I'd do without her leggings for my workouts ) she also runs a hot blog full of inspiring articles to be in line with her mantra 'move nourish believe'. I visit her online space - alot - and when I found these two gem's on self love and positivity I knew I had to share. 1. Do things for yourself. 4. Use mantra's and quotes to inspire you daily. 2. Offer a lending hand to a stranger. 3. Smile & say hello. 5. Believe in yourself - & that anything is possible. 6. Do one thing that makes you and your body happy everyday. 7. Practice the 3 R's - relax, refresh and refocus. If you are way in to your science "unless I see it I don't believe it" stuff then maybe just skip on to the next happiness point because this is chock-o-block full of amazing signs I've been getting recently from my Angels (guardians/spirit/god/universe/whatever you believe in). p.s this is something I was toying with sharing but felt beyond compelled too which means somebody somewhere needed to hear it. If you've been having similar experiences just know that you're supported & loved. My lesson for 2013 was to deepen my level of instinct, to trust my gut explicitly and to work on myself as much as humanly possible so I could help others. Since starting this journey, the results have been phenomenal. My goosebump levels/moments have gone through the roof. I keep getting them when I am saying something to someone or about something - then BOOM..they're all over my body like my spirits are saying "yes, so yes that's right". And don't worry, I'm'a listening. The other amazing 'ok I'm listening' signs are the times when I look at the clock. For weeks, and weeks, and weekss now almost every day when I look at the clock it's 11:11, 12:12 and 3:33. I have also started to have the most amazing experiences with feathers. This is brand new. Never in my life have I seen so many feathers. 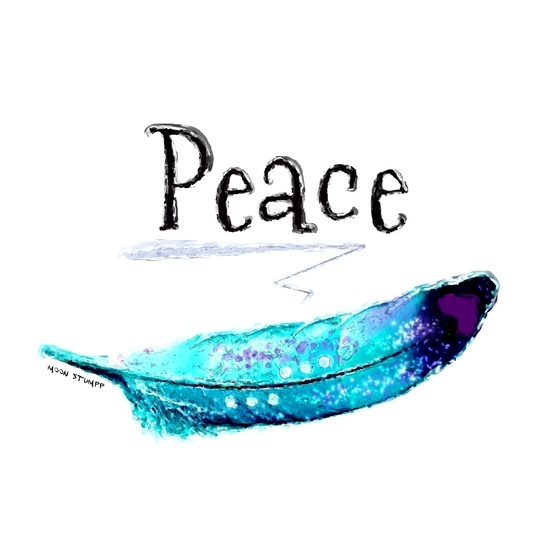 They have been crossing my path as I walk or flutter past as I am sitting having lunch or coffee and I always feel the most overwhelming sense of peace and one'ness when it happens. Totally tuning in, totally grateful for each and every one of these moments and loving the relationship me and my intuition are having. Since I've been little I have never been able to choose when people ask the question "are you a morning person or a night person"? I'm BOTH. My most favourite times of the day are right before sunrise & as the sun sets. When Morgs & I were deciding where we wanted to have our engagement party we both knew the one caveat we wouldn't budge on was having it by the Ocean. We wanted to just be, with each other, champagne in hand watching the sunset before all of our guests arrived and it got crazy and guess what? We got that moment. These are the pics snapped as the sun was setting over the ocean on our night of nights and it couldn't have been anymore beautiful. Sunsets make me grateful to be alive. They bring beauty and peace to the world and my life is richer because of them. Your turn gorgeous. What is on your happiness list this week? The fact you had a special date night with your loved one? Or caught your own amazing sunset? I'd love to hear what's lighting you up in the comments below so we can share the love, happiness and gratitude around. Crazy! I went through a phase where I looked at clocks and I saw 11:11, 12:12, 3:33 too! It mostly happened at night - I would wake up and the clock was all the same number. Hasn't happened for a while though.